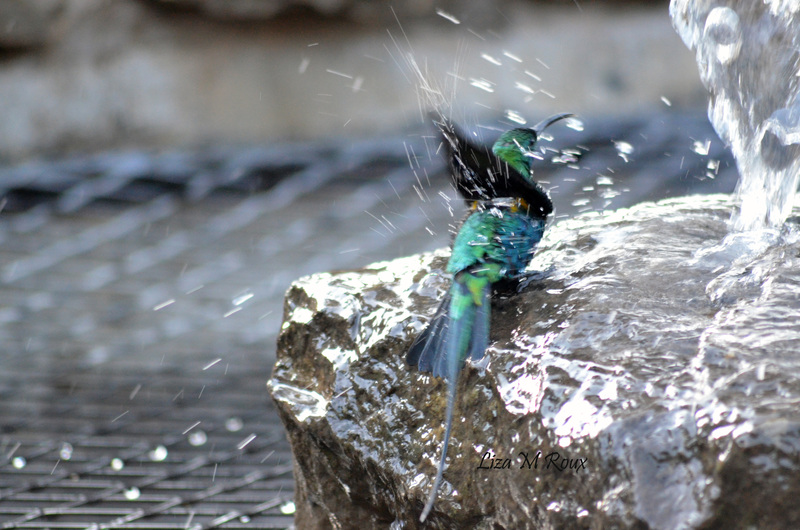 When we just moved to the Free State, I had a hard time adapting and I especially missed some of my favourite birds. I have soon gotten over that, because the area we are living in is so rich in bird life. I have in the meantime been able to add a couple of new species to my list and sometimes I get little surprises, like this one, yesterday. It is winter, not my favourite season, but it has some benefits. For one, the Aloes are flowering and creates for spectacular displays of bright red flowers against the otherwise very dull and dry surroundings. And it attracts birds. An unpopular tree in South Africa, the Blue gum or Eucalyptus is also flowering at the moment. Unpopular, because it is an alien invasive and drinks way too much water and grows and spreads very fast. The flowers of a few of these ancients Blue gums in camp are also attracting a variety of birds to camp. 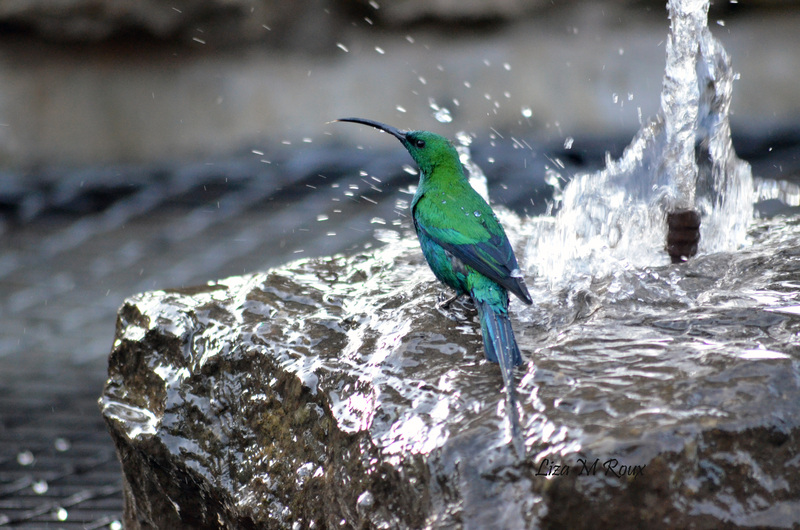 So yesterday, my husband called me to come and look quickly and the most beautiful Malachite Sunbird male was fluttering around and making use of the fountain in front of our house. I managed to snap a few pictures which I would like to share with you.